SecurityNegotiationException was unhandled: Could not establish trust relationship for the SSL/TLS secure channel with authority ‘localhost:8080’ (your service’s url may be different). A common cause for the exception is due to the fact that the WCF runtime does not trust Self-Signed Certificates by default. It is, however, possible to override this default behavior. First we will create a class that does the work of convincing the WCF runtime that our Self-Signed Certificate is trusted. //that the self-signed certificate can be trusted. Now that we have a class that can override WCF’s rejection of a Self-Signed Certificate, we will have the client use that class prior to instantiating the service proxy. Scenario: You have a WCF service that uses the basicHttpBinding binding and you would like to configure the basicHttpBinding with an SSL certificate. 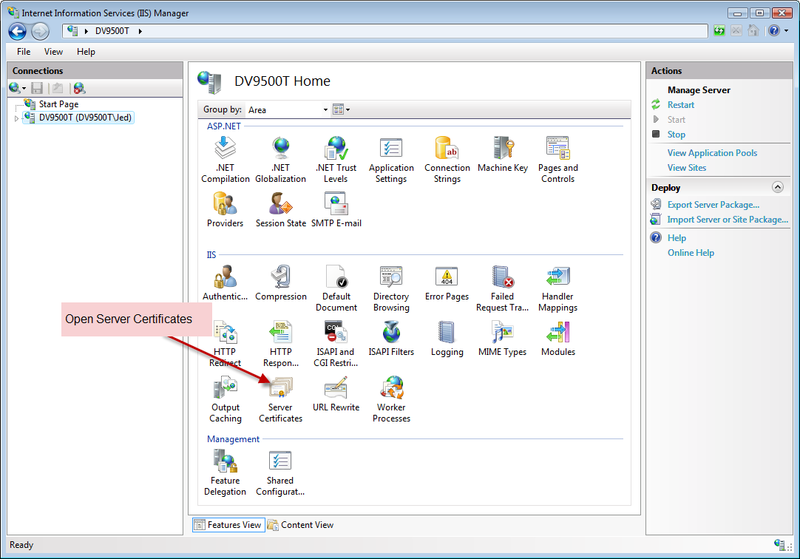 This post will walk you through using IIS Manager and a Command Prompt for creating, configuring, and installing the SSL certificate. Under production scenarios you will not use a Self-Signed Certificate, but to get good idea as to how to configure a TCP port with an SSL cert, a self-signed cert is sufficient. In the Server Certificates window, click the “Create Self-Signed Certificate” link, give the cert a name, then click “OK”. We will eventually need the Thumbprint of the certificate. So, double-click the certificate that you just created and copy the “Thumbprint” value to the clipboard. The certhash is the certificate’s thumbprint (Note that you must remove the spaces that may exist in the thumbprint!). 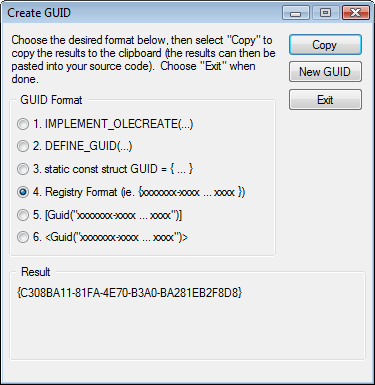 The appid is an arbitrary GUID (Note: You can easily create a GUID using Visual Studio’s “Create Guid” tool. Just make sure that you choose the “Registry Format” option when creating the GUID. An error occurred while making the HTTP request to https://localhost:8080/CustomersService. This could be due to the fact that the server certificate is not configured properly with HTTP.SYS in the HTTPS case. This could also be caused by a mismatch of the security binding between the client and the server. An unsecured or incorrectly secured fault was received from the other party. See the inner FaultException for the fault code and detail. 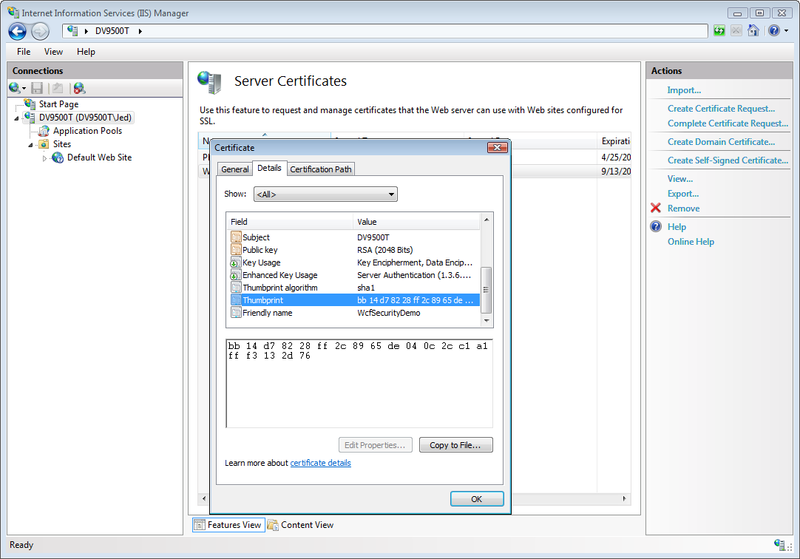 If you receive any one of the exceptions above, you may resolve the exception by creating a new self signed cert and assigning it to your service’s port. Open a command prompt and use Netsh. Where :8005 is the port number that was associated with the SSL cert. Open the Security settings for the key in question – You can usually guess which key is the one you want to configure by looking at the “Date Modified” value. Add the “Network Service” user name to the list of users and grant the Network Service user “Full control”. For more netsh command, check out Technet. Although WCF supports many different types of bindings, there are only three types of encryption that WCF supports. Transport – Bindings that use the “Transport” encryption will NOT encrypt the messages, but will encrypt the TCP packets that go back forth from the client and service. The BasicHttpBinding does not use encryption. Take a look at the message below that was sent from the service to the client. You will notice that the service sent a list of customer information and that the list is readable and not secure. The WsHttpBinding does use encryption. Take a look at the message below that was sent from the service to the client. The first set of XML is the data that the service created prior to sending it to the client. The second set of XML is the encrypted message that the service sent over the wire to the client. The NetTcpBinding uses encryption, but not on the message. The encryption occurs on the TCP packets when sent over the wire – known as Transport Security.